Use Mobikwik Promo Code and get additional discounts on Wallet add money & recharge offers. Get offers on prepaid recharges, Bill payments, Bus bookings, Postpaid Bill Payment or DTH Recharge and save more.We used to update the promo codes regularly. Get the maximum discount and get 100% Super cash on mobile recharge with Mobikwik offers on PCC. MobiKwik is an Indian company founded in 2009 by Bipin Preet Singh and Upasana Taku. Mobikwik provides wallet offering, which is much easier than the card payment or Net banking. Add money once as per your requirement and go for Multiple Uses. Do prepaid recharge with above code and get flat Rs.50 Supercash on minimum recharge of Rs.100. Once/User. Get 25% cashback on Recharges & Bill Payment of Rs.10 or more. Max cashback will be Rs.100. Valid Once/month. Get 25% upto Rs.100 Supercash on minimum recharge of Rs.10. Offer applicable on 1st recharge only. Get 5% upto Rs.100 Supercash on minimum recharge of Rs.10. Offer can be used 3 times/month. Do your first DTH recharge of Rs.99 or more & get 50% SuperCash. Max cashback will be Rs.200. Once/ User. Do DTH recharge of Rs.75 or more & get 25% supercash. Max Supercash will be Rs.100. Once/ User. Visit Recharge Coupons section for more Offers. 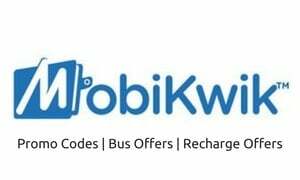 Mobikwik is offering cashback on JIO Recharge for both Prime and Non prime customers. There are 2 different offers right now. 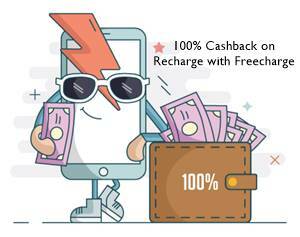 If you are a first time customer of Mobikwik then you are lucky to get the best cashback offer on your recharge. It can be used only once as you are special. Don’t worry if you are already on Mobikwik and benefiting already. You can still enjoy 20% cashback using Mobikwik Promo codes listed on Promocodeclub and user Supercash to save more. Also, check wallet offers by Oxigen. Now add rs.31 and get rs.31 cashback by applying the promo code. Valid only on Android app and only for new users. Valid for Credit/Debit card transactions. Just add rs.10 to the wallet and get rs.40 cashback, Valid for new users only, valid on the app. Just add rs.25 to the wallet and apply the promo code to get rs.25 cashback, valid on the app, Valid for both users. Just add rs.40 to the wallet and apply the promocode to get rs.40 cashback, valid on mobikwik app, for new users only. Just add minimum rs.299 to your wallet and apply the promo code to get Rs.30 cashback. valid against debit/credit card, valid on mobikwik app. Just add rs.23 and apply the promo code to get Rs.23 cashback, Valid against debit/credit card transaction, Valid on mobikwik app. Just add Rs.42 in your wallet and apply the promo code to get Rs.42 cashback, Valid on the mobikwik app. Just add Rs.21 to the wallet and apply the code to get Rs.21 cashback. Valid on debit/credit card transaction. Once per user. Just add rs.35 to the wallet and apply the promo code to get Rs.35 cashback. Valid on the app. Valid on debit/credit card transaction. Just add rs.100 to wallet and get Rs.100 cashback. Valid for new users on Window App. Valid on Visa or MasterCard Debit/Credit Card. Now just add rs100 to your wallet and get rs100 cashback. Valid on Visa or MasterCard. Valid on app. This is for new users. Just add money in your wallet and apply coupon code and get 50% cashback. Valid for new users on mobikwik window app. 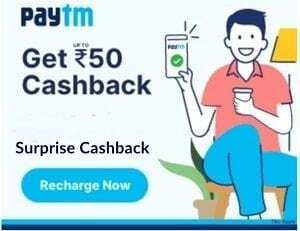 Get Rs.50 cashback on adding rs.50 to mobikwik wallet. This is for Old as well as for New users. Valid on Window app. Only valid on Visa or MasterCard Debit/Credit Card Transactions. Now get rs.120 cashback on loading rs.120 in your mobikwik wallet. This offer is for new users. Now get Rs.30 cashback by just adding Rs.5 to your mobikwik wallet, this is for new users. Just add Rs.100 to mobikwik wallet and apply the promo code and you’ll get Rs.100 cashback. This offer is for new users. Note: -Minimum order value: Rs. 399. Maximum discount amount Rs. 850. Not applicable on: NSI Infinium products, dhamaal events and mobile/Dth recharge. Stay connected for more updates on Promo Codes, save more on Recharges and Bill Payments. Why Supercash in Mobikwik? When other portal are giving in the form cashback, Mobikwik ig giving in the form of Supercash. This concept is not useful for User. Thanks promocodeclub for updating latest offers. Please add Mobikwik hotel offers for existing users, also make 100% supercash usable. Wow Flat Rs.300 offer, finally a good deal for Jio recharge. Harsh, if you will get the cashback and take it to bank. You are not the smartest person. The cashback is offered to keep money in wallet and transact with Mobikwik which makes transactions faster. Thanks.. you are replying very similar to Mobikwik customer care: p. I thought i am smart enough : ) Anyway offer expired. We have already listed another offer of the day. Working fine on DTH recharges. LUCKNEW is only for lucky users or we have some assured cashback on adding money? Code BUS200, Get 15% cashback(max. rs.200) with paying with wallet on bus booking. Thats why i hate mobikwik. 350 likhne se koi recharge thode kar lega. Who is the marketing manager. Monsoon was better than this FREEDOM. SBI is one of the leading bank but strange thing is that SBI netbanking payment is not available with any of the recharge sites like mobikwik, paytm and freecharge. Earlier they support SBI net banking, but I don’t know why they stopped supporting. Hey, I don’t think its free. You have just redeemed your Reward points at Mobikwik. Let me know if its anything else. 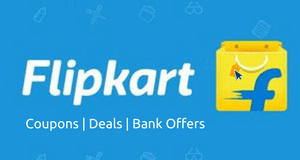 Mobikwik is giving good offers for online and offline shopping. Sir MONSOON is valid 3 times/user and thrice/month also? I mean can we use 3 times again next month if this offer is active? Pls update working coupon MAGIC and LUCKY100, mobikwik already have few coupons. Mobikwik’s customer care system is very slow compared to freecharge. Im not able to use mobikwik bcz I have to use Nokia Asha 311. Mobikwik’s page is not readable in that cell phone. So im far away from MK! Thanks for bringing Get 6% (Rs 75) coupon. It is more easier and convenient to use with definite cashback for all users. hello sir if i recharge with rs 20 twice and after that rs 200 or more, then will i get cashback with 1st code listed? pls reply as recharge of 3 times above 200 is difficult. Is it same for 2nd listed code? If I recharge my prepaid number 2 times with rs 10 and then pay gas bill worth rs. 1000. Is there any code for 200 cashback on 500? Or direct bus booking? Thanks for bringing you own coupons in this situation . Even their app offers are also either lucky coupons or for selected users. This trend will follow in future also.